For me, it’s not just the S&P 500 or the Dow Jones Industrial Average. This is a market of stocks and I think recognizing what stocks themselves are doing is just as important as identifying the trends of the major indexes. By recognizing the behavior of some of the biggest components in the market, we can approach it from a more informed position. 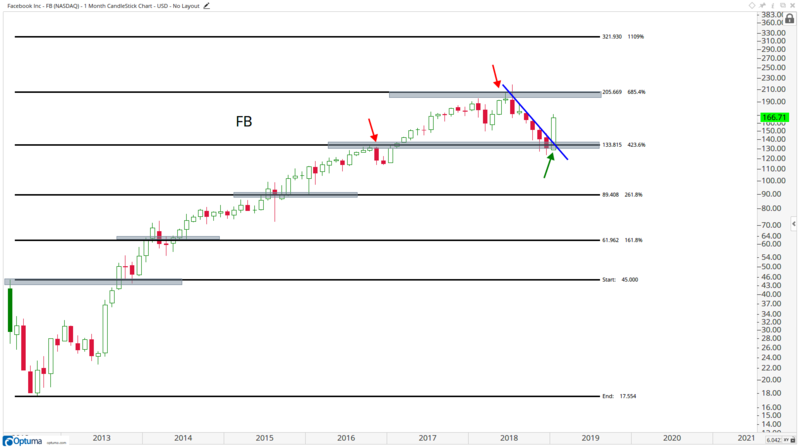 There are three stocks in particular that stood out in my latest monthly chart review. I always say it, this exercise, which I only perform 12 times per year at the end of each month, is the most valuable part of my entire process. There’s no question. It forces us to take a step back and identify the primary trends. You might be surprised to see which charts stood out, suggesting more upside ahead for stocks. The first one is Facebook (Nasdaq: FB), a major component of the Internet Index and Technology Sector. I know there is a lot of noise surrounding this stock, but to me it looks like it achieved its upside objective last year and then came down to test former resistance. For me, FB is range-bound between $134 and $205. It’s a big range, but let’s remember that these are monthly charts. The point of this exercise is to take a step back. Bigger picture, the risk here appears to be higher, back towards the upper end of the range. That would suggest higher prices for Internet stocks, and therefore Technology, which has, by far, the largest weighting of all S&P sectors. 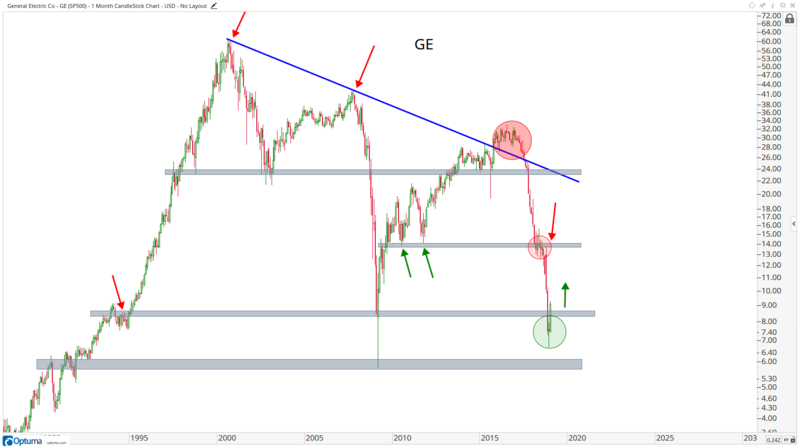 The next one is General Electric (NYSE: GE). Again, does the risk here appear to be higher or lower? For me it looks like the squeeze is on back up into the teens. 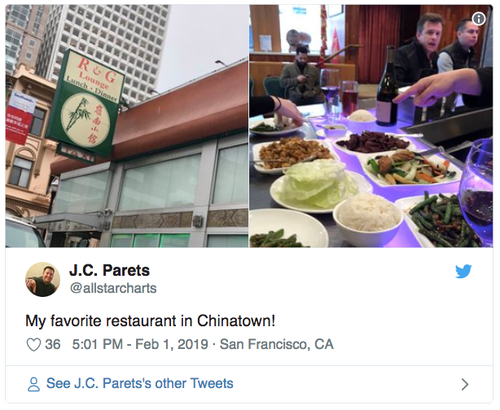 We discussed the ongoing drama with J.P. Morgan (NYSE: JPM) a few weeks ago and how critical this stock is to the market. 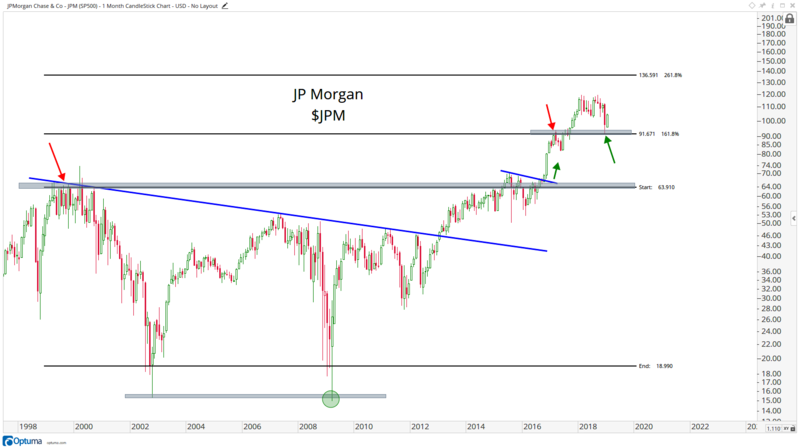 Looking at this from a longer-term perspective, the ability for JPM to hold above $91 was a huge for the structural integrityof this trend. For me, as long as we’re above those former highs near $91 — this is another example of how important risk-management is for us — the path of least resistance is higher. What does that say about Financials, arguably the most important sector in America? These are three stock charts that I think really stand out from my monthly chart review. If these stocks are going higher, it’s hard for me to be too bearish on the overall market. We want to keep a close eye on them. I got to do both on Friday.